Alll the reviews are real, cool place !! An incredible backpackers staffed by some of the loveliest and most helpful people you will ever meet. 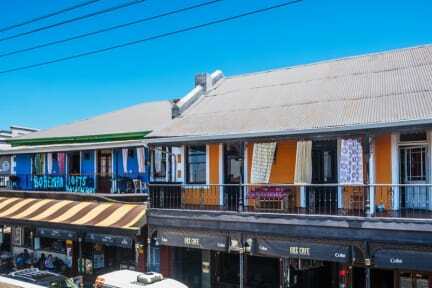 The hostel is located right in the heart of Obs, which is a vibrant and lively part of Cape Town and offers excellent food, drink and live gig opportunities. The city centre is a 10 minute Uber ride away and is super convenient to get to, with even Table Mountain and Lion's Head not that far of a trek. I met some wonderful people staying at the hostel, and will definitely be staying in touch! My plan was to stay only 2 days but discovering the charm of the hostel, I decided to stay much longer. The location is perfect as its close to the train, market, restaurants in homey obs. The street in front is alive but just enough to enjoy. Even when i wasnt staying there, I passed by just to say Hi to the amazing staff and cool travellers. Jenny the owner is so lovely and so understanding. Bohemian was a phenomenal start to my trip, I recommend it 10000%! See you soon Jenny! Thank you! 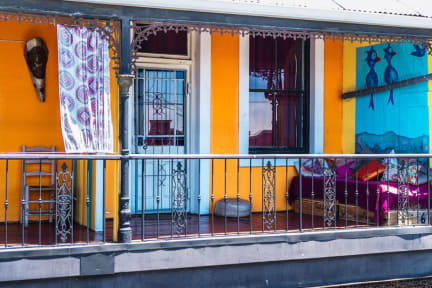 Absolutely wonderful stay at Bohemian Lofts Backpackers right in the center of Obz. Super friendly staff, cosy atmosphere, spacious dorm and a relaxed over-all vibe. Balcony perfect to spy out funky street life of Obz, good restaurants, sweet coffee shops and down-to-eath supermarkets within 1-100m. I had a fantastic and comfortable stay here. Jenni and her staff were so welcoming, helpful and gave lots of recommendations of things to do and places to eat. Met lots of interesting people at the hostel. Relaxed atmosphere, artistic boho decor, free tea and coffee in the kitchen, standing lockers in the dorms, charging points in dorm rooms and scattered throughout the hostel. Nice balcony area to chill out and have a coffee. Jenni, Elisna and the staff were AMAZING people. The facility is nice, except the floors squeak very loudly. There is a computer and a kitchen, but no laundry. The bathroom in the room was nice, and the beds were surprisingly comfortable for a hostel. I was a bit disappointed of the cleanliness in the rooms. The toilet smelled a bit funny. Also the place had a funny atmosphere - it seemed like a lot of locals stayed there and had friends over. Overall it was okay, the facilities were fine and the service was great. They were very helpful in the reception.